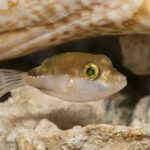 An incredible, never been seen before undescribed species of Odontanthias. 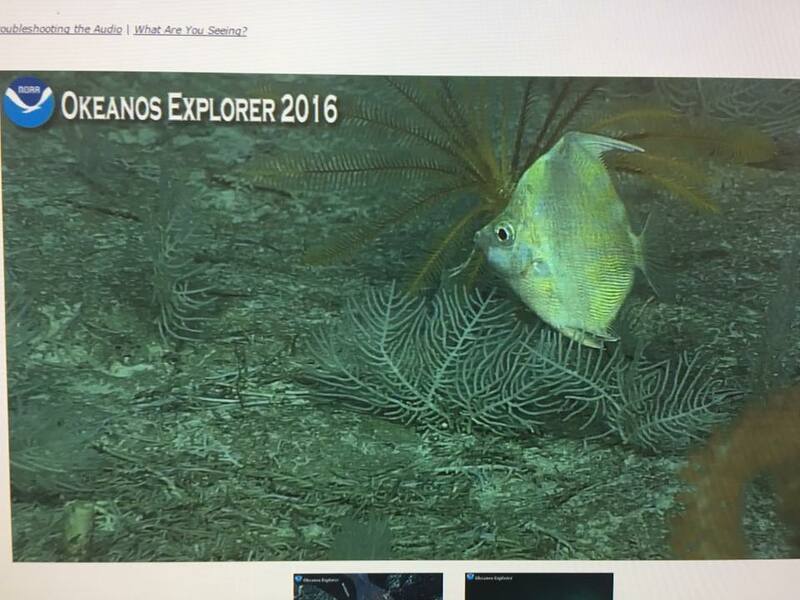 Screen capture from the NOAA Okeanos Explorer live broadcast. 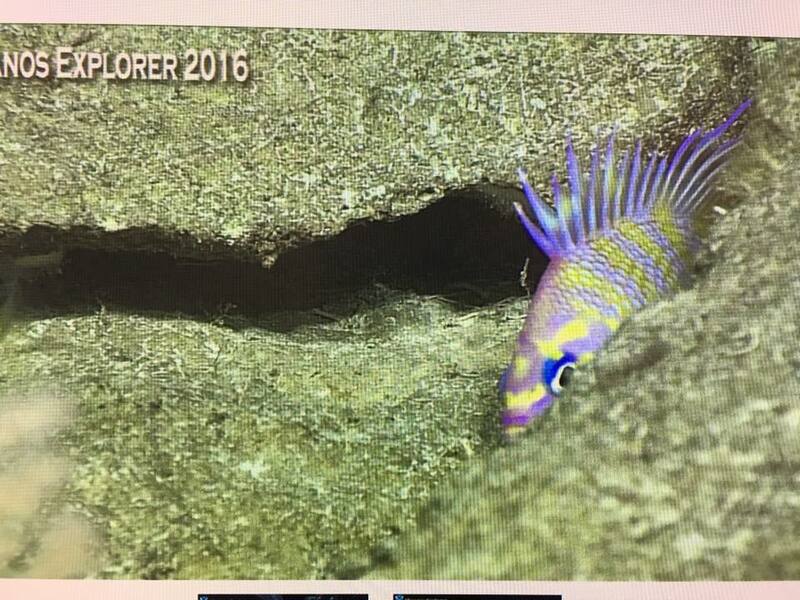 From April 20 to July 10 2016, the NOAA ship Okeanos Explorer will stream live video footage as it explores the deep waters surrounding the Mariana Islands and the Marianas Trench Marine National Monument. 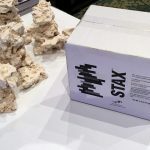 This is part of a collaborative effort between NOAA and partners in collecting critical baseline information from poorly explored waters in the region. 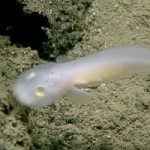 The video broadcast is streamed live, with commentary and dialogue from participating scientists and operators, as the Okeanos Explorer ROV traipses along the deep ocean floor. In the last few days, we’ve seen some incredibly stunning marine life being recorded from insane depths of 3-400 m. And yet, despite this unfathomable depth, there are still amazing fish waiting to be discovered. A stunning yellow Antigonia! 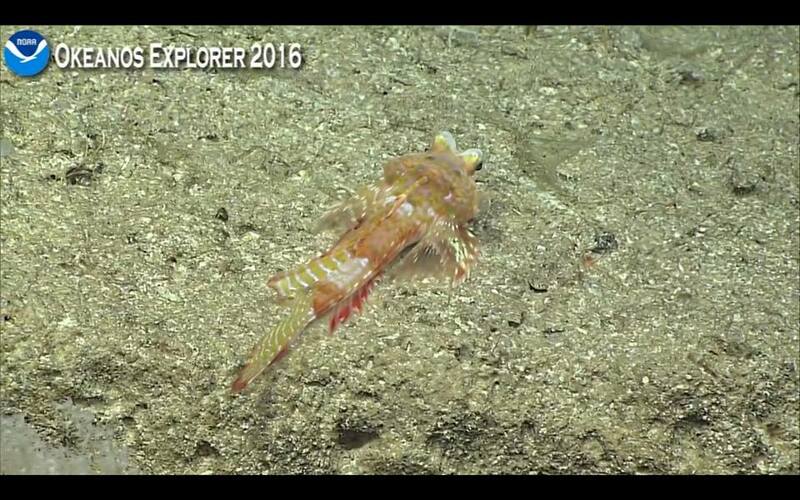 Screen capture from the NOAA Okeanos Explorer live broadcast. An incredible new callionymid, possibly in the genus Foetorepus. 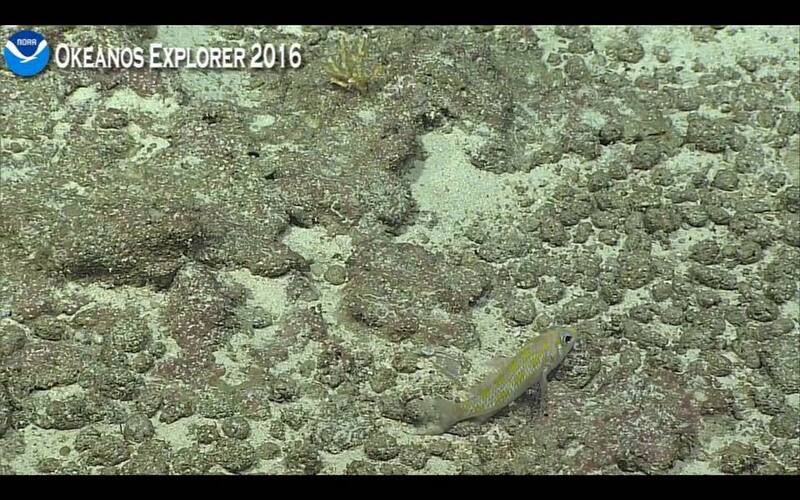 Screen capture from the NOAA Okeanos Explorer live broadcast. Plectranthias elongatus (? ), filmed at 300m. 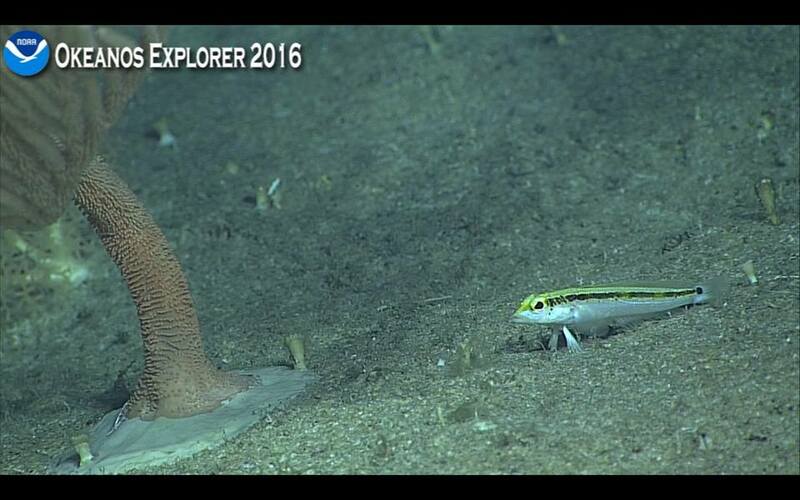 Screen capture from the NOAA Okeanos Explorer live broadcast. 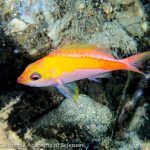 A new species of Plectranthias, filmed at 350m. 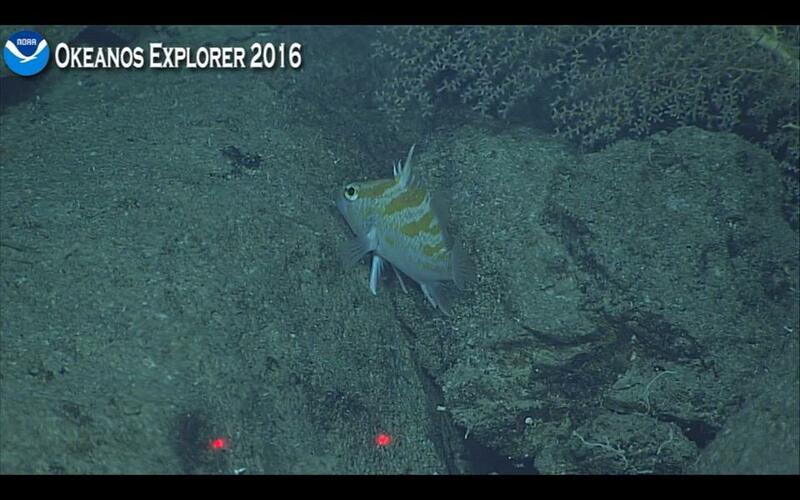 Screen capture from the NOAA Okeanos Explorer live broadcast. Quite possibly the first ever live footage of the elusive Parapercis fuscolineata, filmed at 350m. Screen capture from the NOAA Okeanos Explorer live broadcast. A new species of Odontanthias sporting incredible stripes, filmed at 350m. 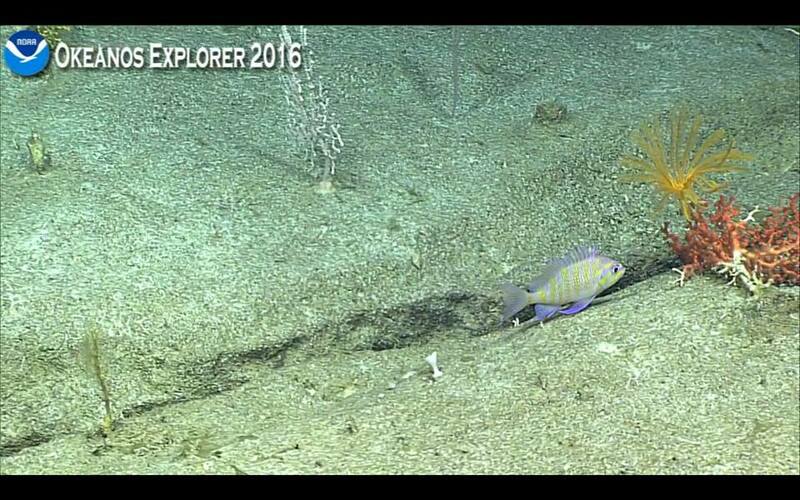 Screen capture from the NOAA Okeanos Explorer live broadcast.